The unique design of the model. The lifespan of this detector reaches 10 years. Free app for a cell phone. You can check the status from anywhere using your mobile phone. Potentially vulnerable to remote hacking. 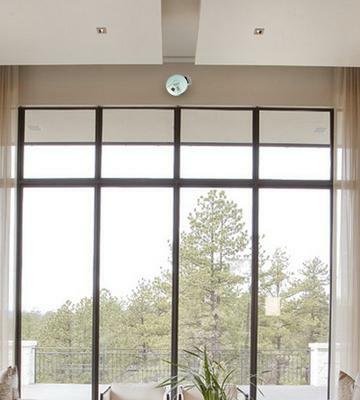 A huge number of built-in sensors provides a reliable protection of your home. 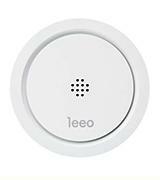 Remote control allows you to get all information about the current status of the smoke sensor even at a distance. The operating range is up to 75 feet. It works with a great variety of intelligent devices with IFTTT app. The model doesn't include a power backup. 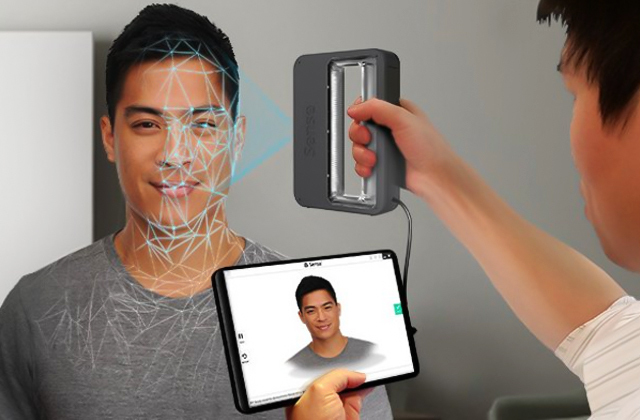 The detector makes calls to your friends or relatives when you don't react to the notifications. 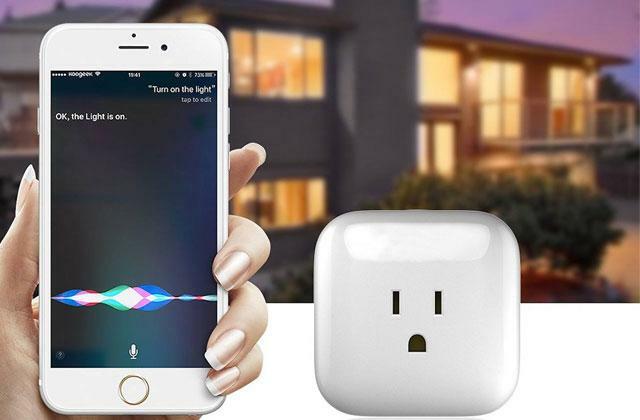 A really smart gadget! Digital display for adjustment of functions. Additional battery for supplying power in case of outages. Not a portable model since it requires a connection to the mains. 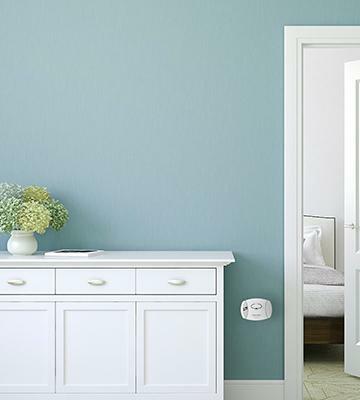 In contrast to ceiling smoke sensors, the model plugs in AC outlet what provides convenience in usage and long operational life. A built-in controller virtually excludes all unwanted alarms. A relatively fast battery discharging. The position of the battery compartment is ideal when you need to replace the battery. This smoke detector will provide a constant and reliable protection at any time! Eye-catching design. This model includes an optional wall mount. The package might be shipped with two AA batteries instead of one 9V. This smoke sensor is perfect for your garage as it detects the excessive level of carbon monoxide emitted by the car's engine. No need to say, you are welcome to use this smoke detector at home as well. Nest Labs, founded in 2010, is a company specializing in the development of home security systems and smart devices for providing comfort. Despite the young age, the company has a tremendous potential. Interesting enough, Nest Labs' founders are actually two engineers from Apple. Apparently, exactly this fact has contributed to the high quality of new company's products. As you might know, Google perceived significant opportunities in this company and bought Nest for $3.2 billion. 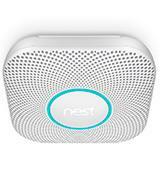 Nest Labs currently has got a skilled engineering staff who design smart and efficient life-saving devices. 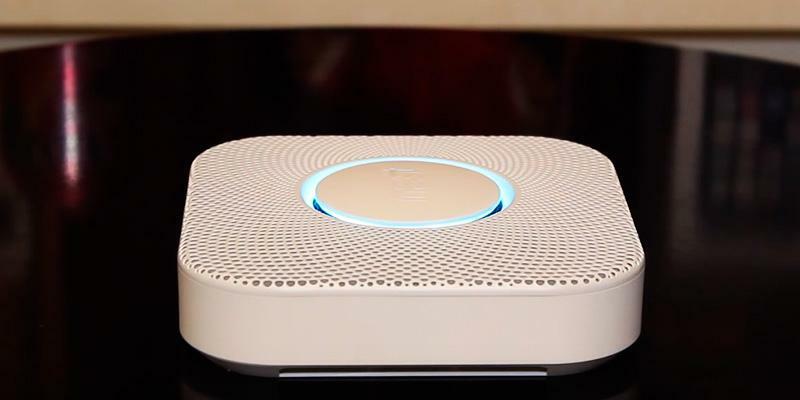 Nest Protect smoke & carbon monoxide alarm has a wide range of useful functions and as for today, it's ahead of other devices used for protecting buildings from a fire. In addition, it's the second version of the smoke alarm with some updates. 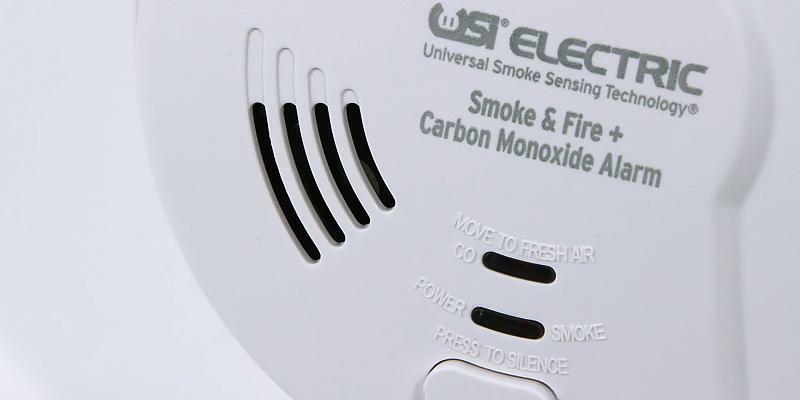 Another important feature is that the smoke alarm includes a carbon monoxide detector which is crucial for ensuring the maximum level of security. New modified smoke detector camera is designed to provide a better protection from dust and to minimize the possibility of false alarms. 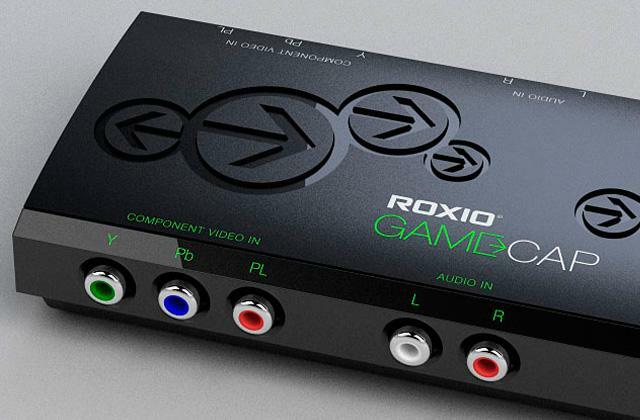 In addition, it's got a built-in microphone and speaker for voice control and warnings. Taking advantage of the new phone application, users can turn off the sound signal in case of a false alarm. Therefore, you don't need to do it manually. Amazing feature! It is worth highlighting that the manufacturer has extended a lifespan of the model from 7 to 10 years. You will be protected longer than ever before! The small size of the smoke detector is an advantage since you can install it in any convenient place. In addition, the design of the model is suitable for any interior. By the way, Nest Protect resembles some Apple devices. This is not surprising, taking into account that one of the engineers worked on the design of the first iPod. 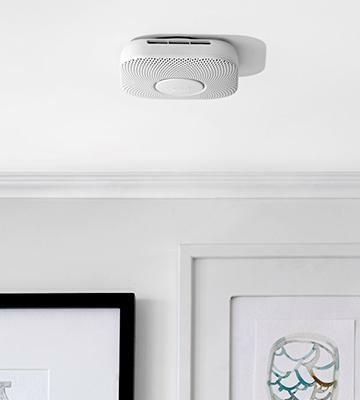 Unlike many of its competitors, this smoke detector has an intuitive system that allows controlling this appliance by movements. Even a child will learn to control Nest Protect - a single wave of his or her hand and the alarm will become silent! 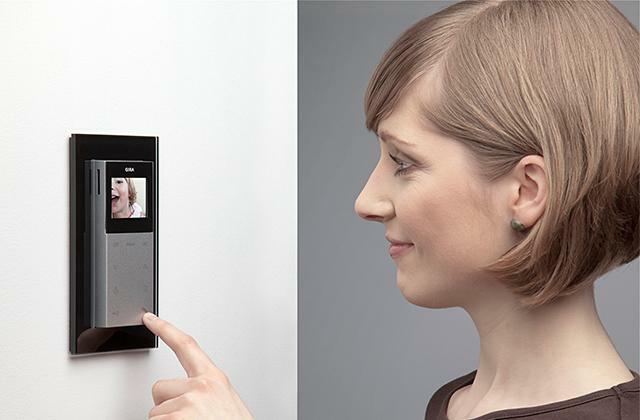 With all the benefits of digital technology, a smart lock is really capable of protecting your home. 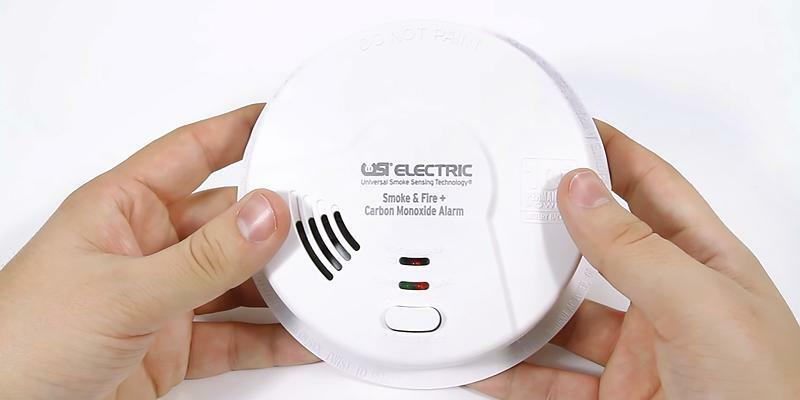 It's really difficult to overestimate the importance of smoke and carbon monoxide detectors since they are responsible for ensuring our safety. In addition, let's mention that wireless technologies make these devices even more reliable. 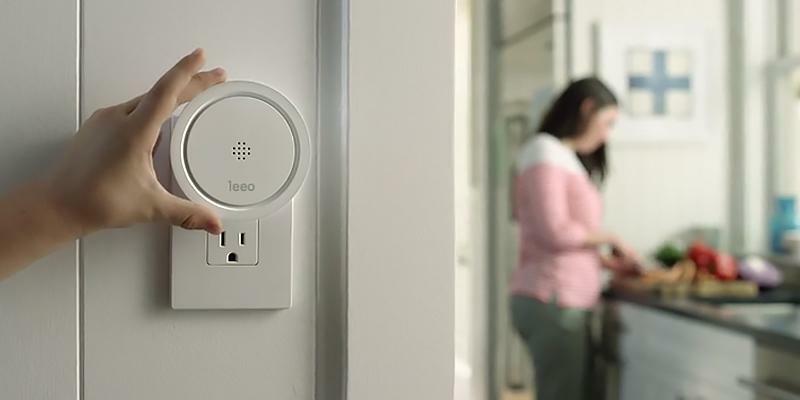 Leeo Smart Alert Smoke/CO Remote Alarm Monitor is one of such detectors which is based on its own controller that can not only make a sound signal but also transmit all necessary data to your smartphone through Wi-Fi connection. Now, while you are at work, your home is under control of a smoke detector. A remarkable feature of this model is that if you don't react to the message from the remote detector it will connect to other phone numbers saved in the gadget's memory. Therefore, your friends or neighbors who live nearby can receive a notification about the fire and take urgent measures. Without any doubt, it's a smart solution! The installation of the device won't take a lot of effort since all you need to do is plug it into any spare outlet. There is no need to stock up on single-use alkaline batteries. To control the device, it's enough just to download free apps from the App Store or Google Market on your iOS or Android gadget. 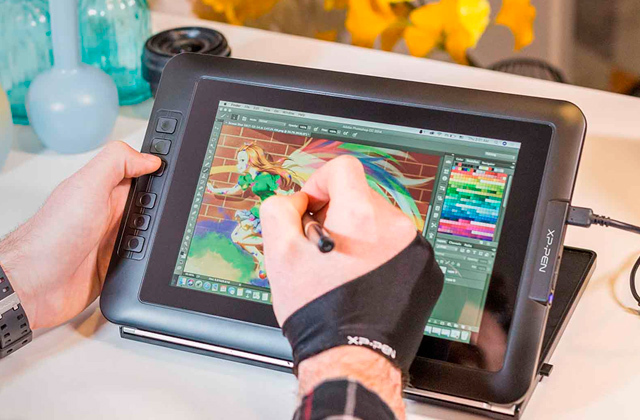 Get a remote access to your device even at work! Here, you can download the applications for iOS and Android. 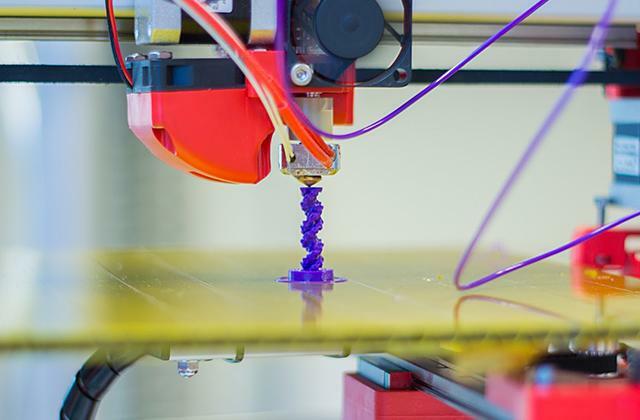 Now, to get people interested in new products, manufacturers try to combine many useful features in their products. 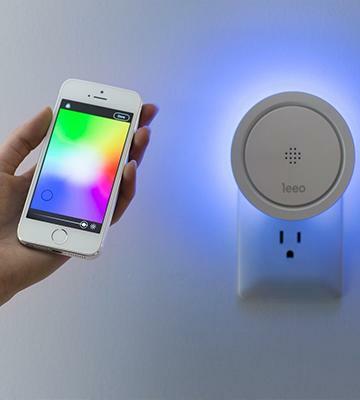 Despite a remarkable design, Leeo Smart Alert Smoke/CO Remote Alarm Monitor can work as a night-light illuminating area near your bed by glowing in one of 16 million soothing colors. To change the brightness of the light, you simply need to rotate the outer ring! 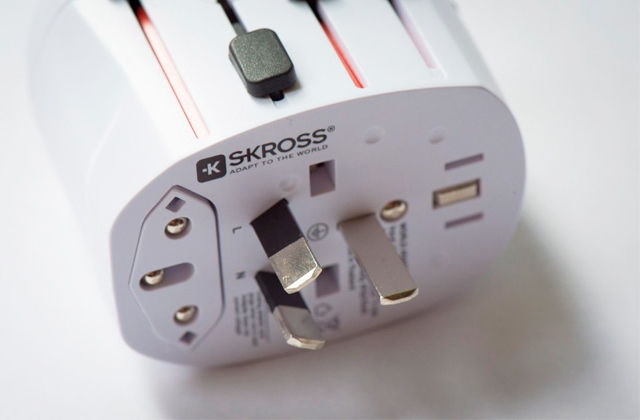 We'd like to draw your attention to smart plugs which can help you monitor energy consumption via your smartphone! Kidde is an expert in the area of smoke detecting and firefighting. Today, it's the largest manufacturer of anti-fire products. The company's goal is to broaden the opportunities and develop new standards of fire protection. Kidde was founded in 1917 by Walter Kidde. Then the company produced the first integrated smoke and carbon dioxide detection system for use onboard ships. The developments had a great importance and literally made the world safer. The century-old history tells about an extraordinary experience and continuous progress in fire protection. Now Kidde continues to manufacture smoke detectors and strives to make its products better. This is the evidence that the company has a clear commitment to people and provides high-quality fire-protection devices. Kidde smoke detectors are installed in houses and offices all around the world. These devices make a real difference protecting people's possessions and of course, health and lives. Another important thing is that the company closely cooperates with suppliers and construction companies, which facilitates finding the right solutions at the stage of design. A really responsible attitude! A huge advantage of this CO alarm is that it has got an additional battery backup. So, thanks to a 9V battery, it will ensure the uninterrupted operation even in case of power outage. It's definitely a crucial feature for old houses with an old wiring. Another important issue is that the following model doesn't require any special mounting or installation. It only needs a wall outlet to be plugged in! So it's up to you to choose the suitable place for the device! 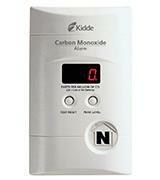 Having switched on the device, you'll be able to monitor the carbon monoxide level on an LCD display. The model updates data every 15 seconds, so there is no necessity to worry about readings accuracy. An early awakening is no longer a challenge with the right alarm clock! It Will Never Let You Down! Since wood is an essential material in the sphere of construction, it's a must to protect your home from fire. 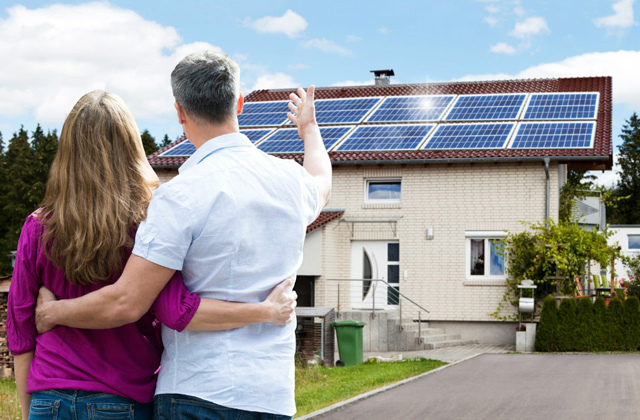 USI Electric is what you need! The huge advantage of this smoke detector is that it's able to provide a triple protection from fire, carbon monoxide, and natural gas. 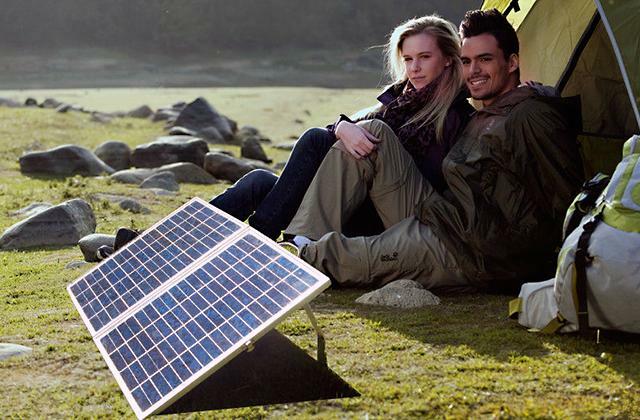 It's important to add that the model plugs into AC grid but can be battery-powered as well. These two power supplies provide the сonstant protection of your home at any time! The position of a battery compartment will allow you to replace the battery without disassembling the device itself. Be sure, USI Electric will guarantee your safety! As for natural gas, there are several hazards and the biggest one is a risk of a dangerous explosion. What can cause an explosion? It can take place if the gas concentration in a room amounts to 5-15% of total air volume. Although such rates are impossible to sense without special sensors. If you ever get a smell of natural gas, the first thing you need to do is quickly switch all electrical appliances off. Even a small spark can burst into a huge fire! Immediately call your gas supplier and fire service and leave the building. Additionally, the installation of all equipment should be carried out only by skilled professionals! In this case, you will never have problems with gas leaks! If you occasionally need to know the temperature of some equipment, the best way to go is to select the best infrared thermometer. 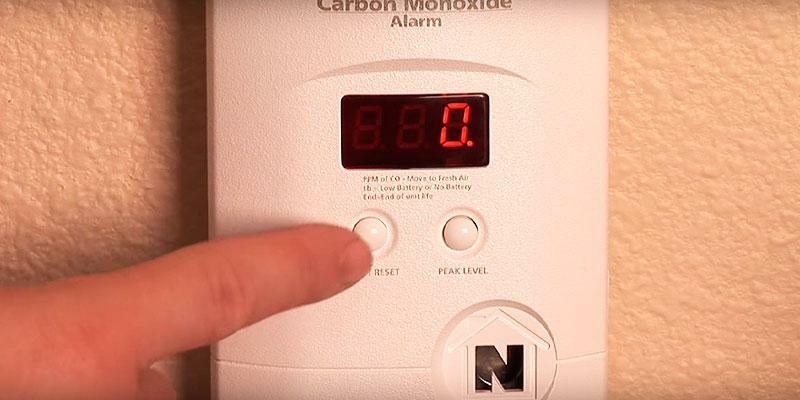 Basically, carbon monoxide is a deadly, odorless, and colorless gas that can cause death. 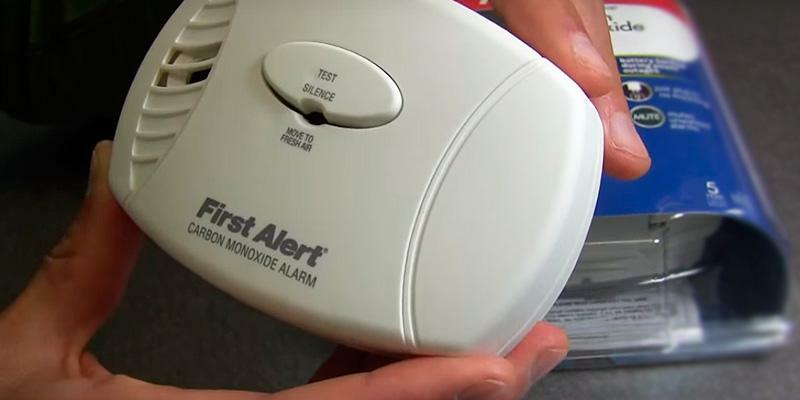 Before installing a carbon monoxide alarm, figure out its potential sources at your home. Let's try to make a list: malfunctioning furnaces, water heaters, gas stoves, and so on. Likewise, generators pose a significant threat to health if they're used indoors. Therefore, never use them inside. 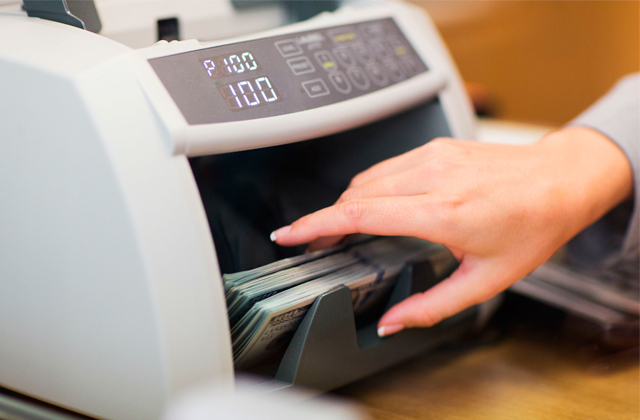 When appliances and ventilating system work properly, it actually doesn't pose any threat. 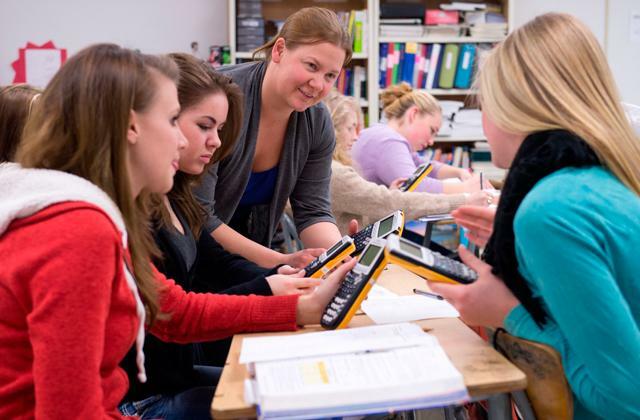 The problems generally arise when something is going wrong. For example, the ventilation system might be damaged or some equipment might break down. Don't forget about vehicle's engine either, particularly if a garage in the house or right near it. 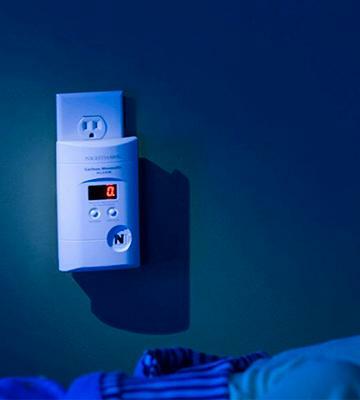 To make sure that you're protected from poisonous emissions, you should own a carbon monoxide alarm in your house or apartment. And First Alert is a necessary and sufficient solution to this problem. In the event of CO detection, the alarm will warn you with a loud audio signal. An advantageous feature is a convenient wall mount that allows you to place the device wherever you want. 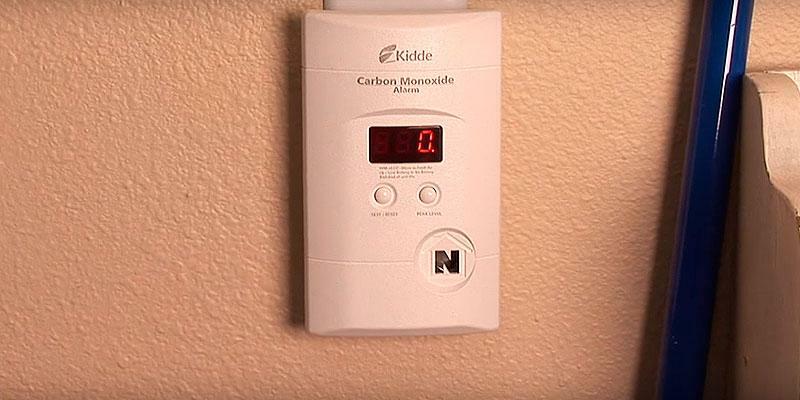 Finally, this carbon monoxide detector is battery-powered, which makes the device really simple in use. If you can't identify the source of the CO leakage, the best decision is to contact the fire department. Leave the problem to professionals and protect yourself and your family! To control indoor climate of your home easily, take advantage of a room thermostat. What is a Smoke Detector? There is no doubt, we must pay much attention to the things capable of saving our lives, health, and property. Smoke detectors are no exception as they can protect you and your family from fire, smoke, and gases. A smoke detector is actually a device designed to detect smoke, fire, poisonous gases, and warn people of an emerging threat. 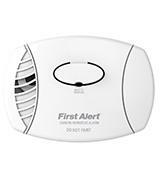 When the sensor detects fire or gas, it instantly triggers an alarm horn notifying people about the danger. Therefore, it allows taking immediate action and you have plenty of time to put out the fire at an early stage. To provide the necessary level of safety and monitor the situation properly, smoke alarms are usually installed on the ceiling or walls in the places where the risk of fire is the highest. Basically, these places are located near stoves, boilers, and electric wiring. Some smoke sensors can be connected to the central fire warning system and if the fire is detected, a warning signal is instantly transferred to the rescue service. If you think your home requires a complex protection, we'd like to draw your attention to home security systems. 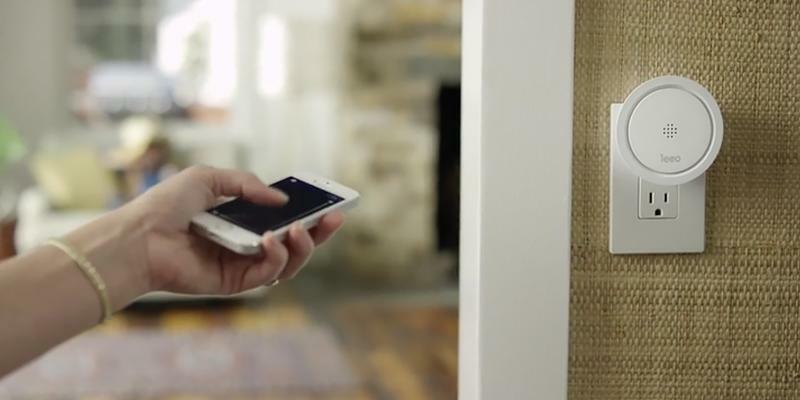 For smarter home safety, you may also need a security camera. photoelectric. Sensors of this type quickly detect smoldering fires as the emitted particles are from 0.3 to 10 micron. A photoelectric sensor detects thick white smoke very fast but it is much slower in detecting a volatile black smoke (emitted during the burning of plastic or rubber). electrochemical. These sensors allow measuring the concentration of gasses (such as hydrogen, carbon monoxide, etc.). These sensors are necessary for houses with gas heating, for example. Keep in mind that the detection of carbon monoxide should be a priority as this gas poses a significant threat to people's lives. Since CO is invisible and odorless, it can quickly spread around your home and that's why electrochemical sensors are indispensable. Any smoke detector has a sound alarm that goes off when smoke is detected. Apart from the sound, some models have light indicators. In addition to this, there are some supplementary sensors that fire alarm can include - motion, occupancy, humidity sensors. These components make a detector more functional and contribute to its versatility. Another crucial feature of a fire detector is its Operation and Power Source. We recommend you to select a model matching the weather conditions in your state or region. If your choice is right, the sensor won't react each time the weather changes. More importantly, some detectors boast a really wide range of operating temperatures, which makes that really versatile. Smoke detectors are mainly attached to the ceiling and walls by means of screws, so you can choose the place where they will be most efficient. The compact size of a smoke detector makes it practically invisible in a room. Any appliance requires a power source. 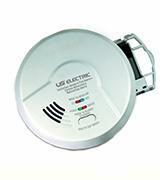 Most smoke alarms are battery-powered but some of them require the connection to the mains. Moreover, there are models that support both options; no need to say, such smoke detectors are the most functional. Finally, pay attention to the Special Features that make these appliances unique. For example, some of them can be controlled remotely by means of smartphones or Wi-Fi connection. A notification is sent to your cell phone if the alarm is triggered and you will know about the danger no matter where you are. Thus, it will be possible to take an immediate action. 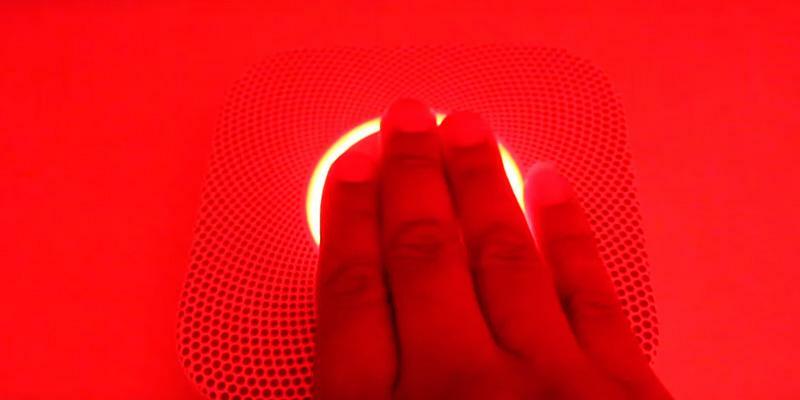 Moreover, in some models, you can switch the sound signal off by a simple waving of your hand. Some smoke detectors have displays showing the battery charge level and other information. 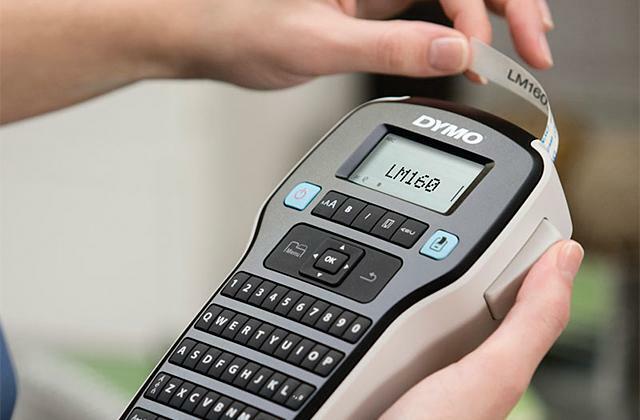 Special convenient buttons allow making calibration and self-testing. Finally, there are models that have a low battery level warning, so you will be able to change it on time. 1. How to Choose a Smoke Detector, wikiHow. 2. How to Choose the Best Smoke Alarms for Your Home, Kidde. 3. 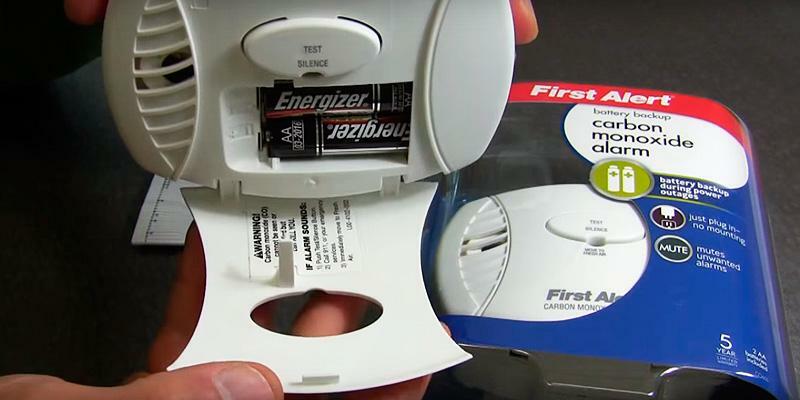 Smoke and CO Alarm Buying Guide, Consumer Reports. February 2016. 4. Joanna Pearl How to Buy the Best Smoke Alarms, Which? 5. Chris Barnes Smoke Alarm Buying Guide, choice. August 28, 2014. 6. Kimberly Kurimski Best Smoke Detector: Ionization, Photoelectric Or Dual Sensor? A Secure Life. May 12, 2016. 7. How to Buy a Smoke Detector, ConsumerSearch. April 2016. 8. Timothy Dahl How to Buy a Smoke Alarm that Provides the Most Protection, WORKSHOP. September 9, 2015. 9. B. ONeill Not All Smoke Alarms are Equal: Knowing the Difference Could Save Your Life, The Allstate Blog. April 3, 2013.